Our keynote speeches are designed to inspire, educate and motivate individuals and businesses to re-think their attitudes to performance and personal wellbeing. Our speakers are highly accomplished; they are entertaining, direct and on target. They all hold a passionate belief that every individual has a talent and an ability to achieve their goals and ambitions and to go beyond their barriers, whatever they might be. Our keynote speeches cover a range of topics and can be tailored and modified to suit your needs. Dr Steve Bull has a 30 year track record of working with high performers in both business and sport. He is an accomplished speaker who has made invited presentations in more than 10 different countries around the world. Audiences are consistently impressed by his ability to deliver in an entertaining style combined with real substance. Steve delivers impactful keynote speeches on any aspect of high performance, leadership or mental toughness. Each speech is designed and made specific for every client. Of particular interest to some clients, Steve runs “talking heads” sessions with some of the international athletes and coaches with whom he has worked over the past 30 years. In these sessions he conducts an in-depth interview around a set of themes agreed with the client in advance of the event. Throughout the interview, he draws out connections to the world of business so that audience members have really concrete lessons to take away from the event. Click here for Steve’s full bio. 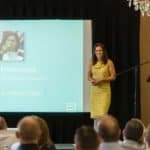 Anna’s background as an elite sportswoman combined with her experience as a business woman and Managing Director, provides her with an excellent platform for delivering engaging and captivating keynote speeches. Whether you are looking for a motivational speech inspired by Anna’s personal tale of triumph over adversity or something more specific to a particular topic, Anna can craft a presentation that is relevant to your theme, your audience and industry. She draws on not only her own experiences but also the latest cutting edge research and science of performance. Click here for Anna’s full bio. Dr Hare is a highly regarded physician and sleep medicine expert. She is passionate about the role of sleep in performance, mood, health and wellbeing and has a particular interest in the treatment of insomnia. Dr Hare is focused on supporting individuals to improve their mental and physical health and optimise their performance through better sleep. Dr Hare is an accomplished speaker, having presented her work at national and international conferences. Her presentations are engaging, the science is insightful yet made simple and she provides fantastic take-away value. You will discover everything you need to know about sleep but are too tired to ask! – Dealing with common sleep problems such as insomnia, sleep apnoea, snoring. Click here for Alana’s full bio. Jeannette enjoys helping individuals improve health and wellness, boost energy, increase concentration and memory recall. 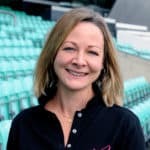 Her expertise in exercise and sports nutrition allows her to use the principles from the world of sport to help busy corporate executives to use food to fuel their bodies’ and brain’s for optimal performance and energy. Jeannette is an engaging and inspiring keynote speaker and her presentations are full of practical take-aways as well as the latest science and research from the world of health and wellbeing. Click here for Jeannette’s full bio. Jenny is one of the UK’s leading nutrition experts. With an international reputation and following, Jenny has a skill for breaking down nutritional science into bite size pieces. Driving performance through optimum nutrition is Jenny’s passion which is what makes her presentations so inspiring and popular. Jenny believes that sometimes hectic work schedules and the constant struggle for work-life balance can hinder our best nutritional intentions. Her keynote speeches, therefore, are filled with tips and realistic and accessible ways for us all to make better food and drink choices. 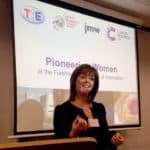 Jenny is an author and regular contributor to national radio, TV, press and social media coverage including: – 5 Live, Good Morning Britain, Sky News, Guardian, Daily Telegraph, Channel 4 News, The Mail, The Express and many more. Click here for Jenny’s full bio. Dr Dorian Dugmore has been working in cardiac rehabilitation and wellness for over 25 years and has written extensively on health, exercise and heart disease. 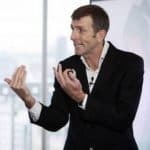 Dr Dugmore is a highly accomplished international keynote speaker, his presentations are designed to inspire and motivate individuals and business to re-think their attitudes and approach to personal and corporate wellbeing. 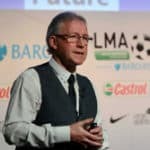 He draws on his background in football to illustrate theory with real life examples and case studies from the corporate arena as well as the high pressure cauldron of football league management. Click here for Dorian’s full bio.